The remodel may also get Apple on the good side of Consumer Reports. Reverting to the aluminum chassis means Apple would be reworking the antenna as well, and wouldn’t face the same roadblocks it did with creating a white iPhone 4. 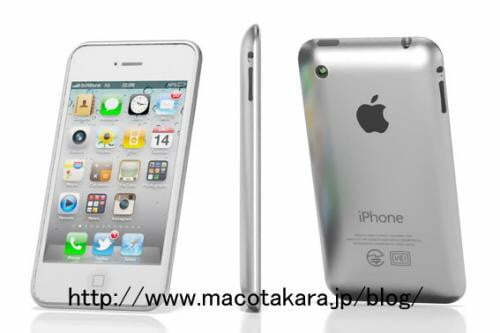 The phone would also be lighter and possibly slimmer than the previous model, more closely resembling the iPad 2 than the iPhone 4. And of course, it wouldn’t be prone to scratches like the current device. The report also says the iPhone 5 will include the A5 processor and is on Apple’s regular release schedule, meaning we should see the iPhone 5 this coming June or July. And around that time, you can cue the iPad 3 rumors to reach full swing.